Enjoy a FREE short preview of select modules for seven days. Do you want an interesting way to introduce yourself? Do you want to create a loyal client base? Do you want clients to notice an immediate impact when they work out with you? Do you want to easily balance opposing muscles and observe them respond better than before? Do you want to help your clients achieve fitness targets faster than ever? Do you who want to help people become “functionally fit” and perform everyday movements easily? Do you need another way to help your clients “activate” their muscles to move better? Do you want to help athletes and fitness enthusiasts move through plateaus faster? Do you want to call yourself a MUSCLE TUNER™ Specialist? You are a fitness enthusiast who wants to help others become fit too. You may have heard of muscle testing and would like to learn how it can benefit your business. You want to learn how to do muscle testing properly and offer performance enhancing techniques to your clients. You want to call yourself a Muscle Tuner™ Specialist. This program was designed for Fitness and Sports Trainers, Coaches, Kinesiologists, Physiotherapists, Massage Therapists, Fitness Enthusiasts and Athletes of all abilities. We are thrilled and excited to be sharing the Muscle Tuner™ Specialist Program which will allow you to create results with your clients right away and allow them to see and feel the difference after even a single session with you. The Muscle Tuner™ Specialist Program will teach you a system of switching on and activating muscles that is fast and can be used at the side of any sports field, rink, or pool; at an event, in a gym or a clinic or office. The Muscle Tuner™ Specialist Program is a combined online and in-person program so you can learn theory, watch muscle testing & techniques and view protocols at your own speed before attending the in-person four-day workshop (last day reserved for practical assessments). · Online access to the Muscle Tuner™ Specialist Program materials for as long as you maintain your License. In addition to the above, the first 100 people who register for the Muscle Tuner™ Specialist Program will become part of the “Founder’s Club” and enjoy the $250 CDN / $200 USD renewal fee for as long as you continue paying, without interruption, your yearly Muscle Tuner™ Trademark License fee. 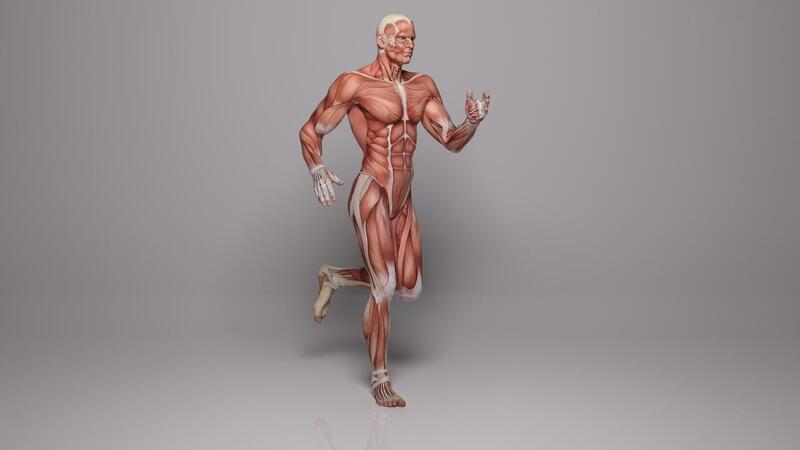 It is time to offer Muscle Tuning™ as a valuable part of a wellness program. These skills are essential because of their role in helping people gain more strength, flexibility and range of motion in order to achieve and maintain a healthy body. You will both be impressed with how quickly your client’s performance will improve. You will observe your client’s wonderment and awe as you Switch-On and Tune-Up Muscles; they will notice immediate results and may even perform activities that once were difficult. The skills you learn will expand the services you offer your clients. You will amaze people and they will appreciate your skills. Your new knowledge will profoundly change the way you help clients. We are thrilled to be sharing the Muscle Tuner™ Specialist Program with you. This Program will allow you to create results with your clients who will notice the difference after even a single session with you. Your instructors have a combined experience of more than 50 years in muscle testing, facilitating and program creation. In addition, Heather graduated with an Honours Bachelor of Physical Education and successfully completed her thesis based on muscle testing and balancing techniques. We invite you to experience the Muscle Tuner™ Specialist Program and to become a Muscle Tuner™ Specialist and Founder’s Club member. Witness JOY in your clients as you help them achieve their fitness, recovery and rehabilitation targets faster by offering them Muscle Tuning™ sessions. Become part of the Muscle Tuner™ Specialists Community today! You'll have access to this material for seven days.